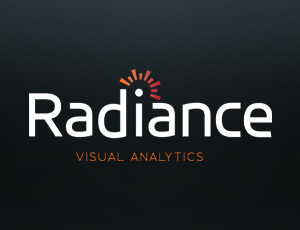 The Radiance workflow – connect, enrich, analyze and visualize – is a predictable and repeatable method for data analysis projects of any size. With a flexible architecture that can connect to data from a wide variety of cloud and local repositories, the Radiance platform rapidly transforms disparate sources of information into a single, highly faceted workspace. Here teams can search, browse, explore and analyze data across time, custodians, and locations to quickly discover critical themes and documents at the center of any early case assessment or investigation. Connect to popular cloud-based business repositories, including Office365, Google, Dropbox, Box, and Slack. Ingest and enrich local data, including e-mail systems, file shares, case data generated by Nuix or exports from StoredIQ and other e-discovery tools. Leverage the Radiance Workbench to quickly connect to many other data sources and seamlessly push data into Radiance. Identify master duplicates, near duplicates and documents with limited or no content. Extract concepts and entities including language, geographic location, monetary value and personally identifiable information (PII). Analyze and classify document content in more than 50 languages. Capture social networks including communication patterns and e-mail threads. One-click filtering based on custodians, dates, organizations, concepts, languages and many more. Powerful advanced search, including fuzzy, proximity and Boolean search operators. Search hit previews show query hit counts even before running the search. Dynamic statistics provide real-time feedback about any document list or search result.